About the Author: Satyam Tiwari, a 2nd-year B.E. student, shares his experience of taking up a Python training with Internshala and how it helped him secure an internship at Zoho. In my first semester, I came to know that the third-year students were learning Python and C++ to grab internships at reputable companies. So instead of waiting another year, I decided to learn Python on my own. A major hurdle, however, was where to begin. Since I had to study for my semester exams simultaneously, it was impossible for me to learn it from books. Besides, I wanted to learn Python by directly working on projects. Then, my brother’s friend suggested Internshala to me; I browsed the content of their Python training and immediately decided to enrol for it. The training began with a simple introduction to Python, which proved to be very helpful as I had no prior knowledge about it. The first module covered concepts like numeric, string, sequence, dictionary data types, and other relevant operations. I also learnt to write programs using conditionals, loops, iterators, and generators. Earlier, I used to import built-in modules and packages but after learning this concept, I was able to build my own modules and packages. This was followed by object-oriented programming. I had previously studied it but didn’t quite understand the concepts; however, the videos in this module helped me understand all the basics. The best part about the training was that the videos explained the concept by giving real-world examples. The fourth module was about relational databases where I learnt to store and retrieve data from an SQLite database. I was also introduced to PyQT and graphical user interface (GUI) which helped me design a GUI for my application. Each module was followed by an assignment and a quiz through which I was able to evaluate myself. I could also pose questions if I had any doubts through the live chat option. I recall once when one of my seniors, who was working on a project, got stuck in GUI, I posted the doubt on the live chat and received a well-explained solution within hours! After completing the online training, I decided to apply for an internship at Zoho. The selection process took two days. On the first day, there was a pen and paper round, where they asked flowchart-based questions. There were a few programming questions too where we had to find the output or errors in the code. They shortlisted the candidates for the subsequent round on the basis of the cut-off. The next round was programming where I was able to use Python and make all the 5 required programs. Depending upon the time taken, candidates were further shortlisted for round three wherein we were asked to select a language of our choice. I obviously chose Python and wrote programs for finding the middle element in a linked list and finding the angle between the hands of a clock. This was followed by an interview where I was asked a series of questions related to Python such as ‘How is multithreading achieved in Python?’ and ‘How do you manage the memory in Python?’. The interviewer also asked me a few questions related to database and asked me to write a few SQL commands. After one week, the results were out, and I was the only second-year student to be hired as an intern at Zoho. At Zoho, my profile was of a developer. I first began by learning to develop Zoho’s platform using their own programming language, Deluge, while simultaneously learning how to use Zoho’s other products, notably CRM. I learnt to create custom fields, functions, and workflows and figured how customizable their application was. This enabled me to take on different developmental projects. My final project was to develop and implement an extension for Zoho’s CRM platform. I got stuck many times while working on these projects but the knowledge of the classes and data structure that I had gained during the training helped me a lot. I completed the internship successfully, and I’m currently working with my seniors on a different project. 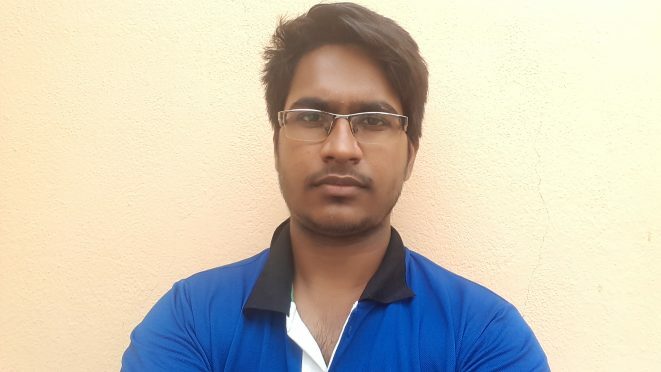 Are you motivated by Satyam’s review of Internshala’s Python training? Follow his footsteps and enrol for Internshala Python training today and score an additional discount of 10% by using the coupon code BLOG10! I work as a developer too, but I’m a developer of mobile applications. It was hard to teach everything I needed. Today everything is good, but with such big amount of competitors every my applications requires to buy app downloads. Reviews Up company help me at this situation, I’m really appreciate their help and like what they do. They have the best service I ever used. Thanks for sharing such a nice piece of information to us. This is very knowledgeable for all student. It’s a very nice site. It is a very nice information and they are very knowledgeable of all students thank you so much share with us. When it comes to choosing keywords, do you use long keywords or short keywords? I’ve been blogging for five years, rarely get a lot of traffic from google (mostly organic through either my email list, facebook group etc) but I’ve been trying to change that. Thanks for providing such a great successful life story. I hope you will share same informative post in future also. Please keep sharing!! Thank you, dear I found your information really useful. I would like to say thanks once again for this information. keep posting all the new information.